This week, we're celebrating the great wide world of carpets. And one of our favorite contemporary makers is Mio Karo, a textile brand dedicated entirely to original crafts from Sardinia. Every Mio Karo piece is designed by the highly gifted Carolina Melis—a Sardinian-born, London-based filmmaker, animator, and designer—and realized in collaboration with local Sardinian artisans. 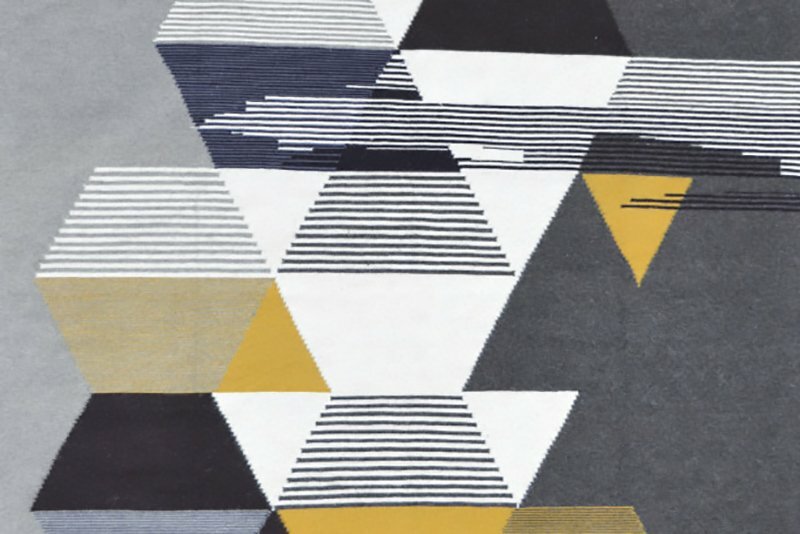 We sat down with Melis to get to know more about her, the Mio Karo story, and one of our favorite pieces, the oh-so-graphic sei/sei rug. AC: What is the inspiration behind sei/sei's pattern and color scheme? 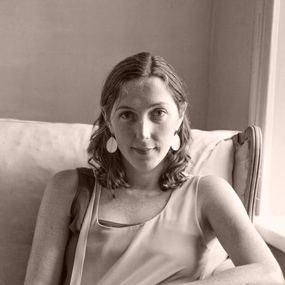 CM: I worked in animation for a while before embracing a passion for textiles. Hence I see patterns in a very dynamic way: I tend to break symmetries and use variations. The inspiration for this piece came from an animation I did which is actually called sei/sei. The animation playfully shows a series a transition of patterns, shapes and textures one to another. [Check out the animation below]. I took one particular section of this piece and used as a starting point for the rug. 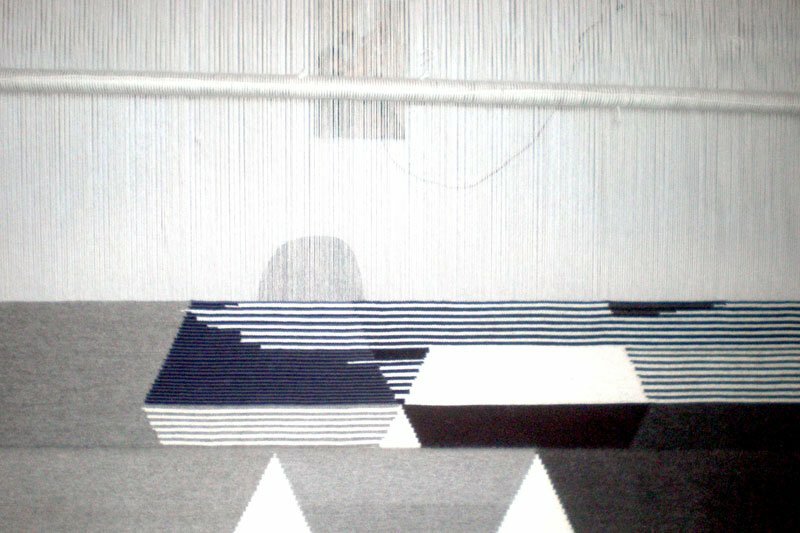 Once the rug was done I introduced actual images of the rug into the film. So I started with the film, I moved into the rug, and I [ultimately] got back into the film. AC: What is the meaning behind the sei/sei name? CM: Sei means six in Italian. The design plays around the shape of the hexagon, which has six sides. The idea was to replicate the key shape in the name itself. sei/sei: six letters with a diagonal in between. 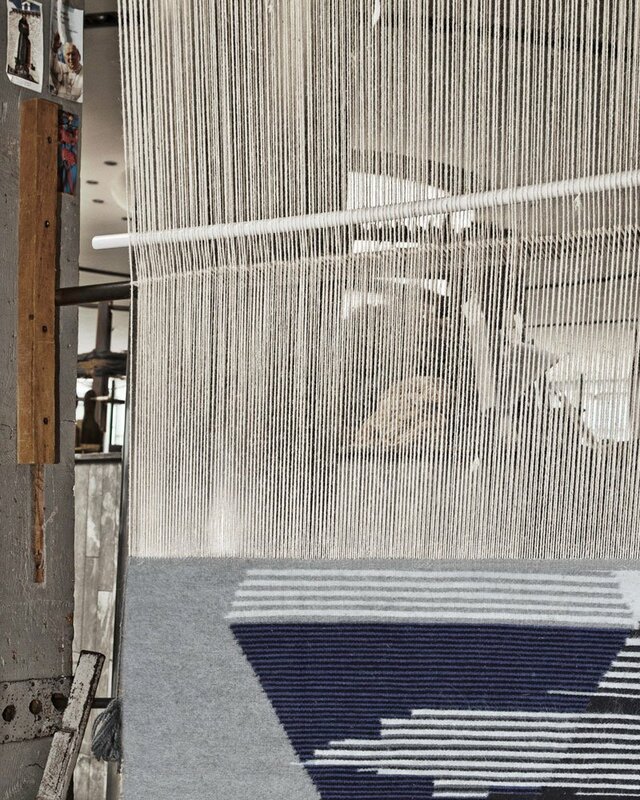 AC: I understand the rug is completely handwoven by Sardinian artisans. Can you tell us a bit more about the making process? CM: I came across the village where they produce these rugs by absolute chance, and I fell in love with the place. The village is nothing special, yet I was particularly amazed to see that the technique of weaving and the looms hadn’t change throughout the years. Weaving in the village is still done entirely by hand on vertical looms. 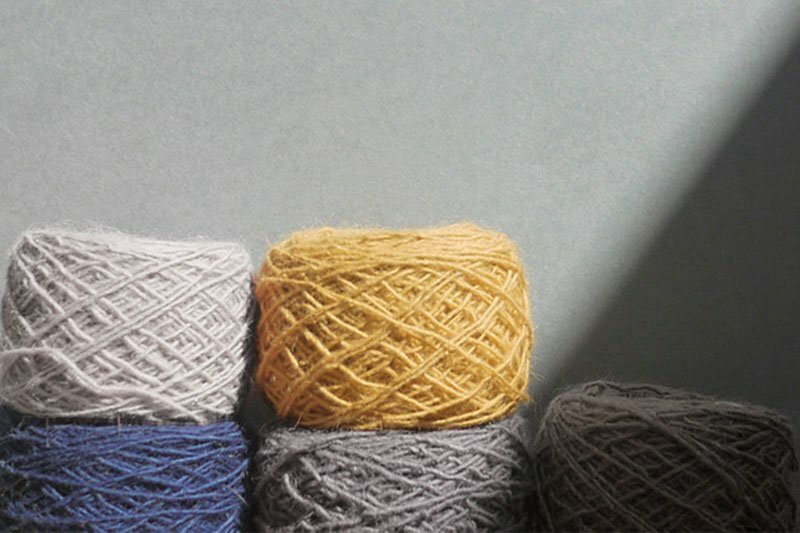 It is a technique common to many places in the world, yet what makes it special here is that the weft is particularly compact—hence the final textile is extremely robust. 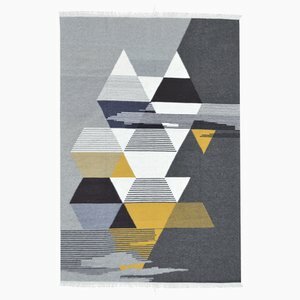 Famously, these rugs lasts hundreds of years; in fact, they get better over time. Besides, it is so rare to see a production that is so local, All the colors are natural, from the sheep (greys and white), or naturally dyed (the yellow and dark indigo), and we only use wool from Sardinia. 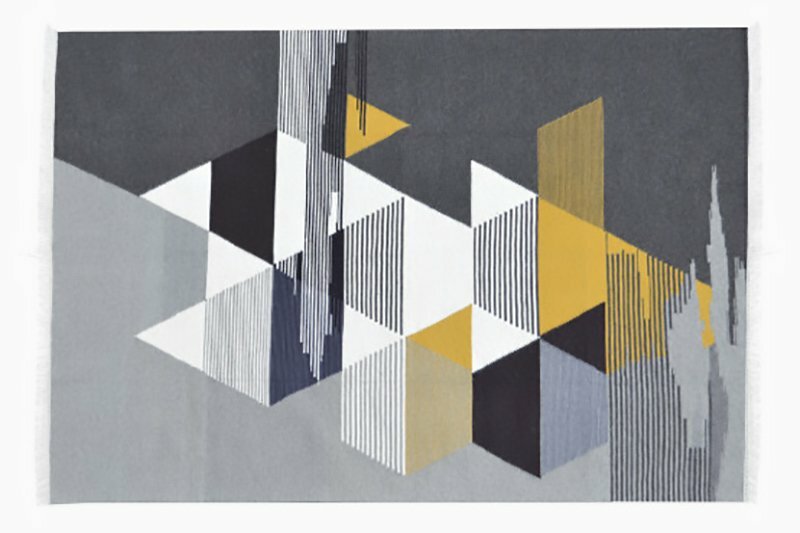 I design the pieces on paper, and then we work together to understand how they can be translated into rugs. Weaving takes a long time, and it is such a pleasure when you finally see the rug completed! AC: How did you first encounter these weavers, and how did your relationship develop? CM: I’m from Sardinia, and weaving is part of my cultural heritage. I studied at Central Saint Martins College of Arts and Design, a school that is particularly respected for craft and design. I decided to combine the contemporary and international approach to design with a very local and ancient profession. At the moment, the collaboration with the local weavers is based on this. I tend to look into new or interesting designs, and the artisans help me to understand the way an idea can be better translated into an artwork. Weaving in Sardinia is extremely fascinating. There are still thousands of active looms and techniques are very diverse. At the moment, I work mainly with women from five villages. They are mostly cooperatives or independent weavers. My dream, or plan, is to create my own workshop and a solid group of artisans to work with. It’s a plan that is slowly coming together. AC: What's on the horizon for you? CM: I’d like to expand my collaboration with Sardinian artisans into other crafts. I’m working on a collection of handmade baskets; this is something else that belongs to our culture, and there are extremely interesting techniques of using wicker as well as textiles together. I’ve also just started a number of collaborations with architects and interior designers to produce bespoke pieces. This is something I’m always very excited to do. Not only because I get a change to design a specific pattern for a given location, but also because it brings me closer to architecture, which is something that I’ve always loved.